Cedar Bridge Condo - RENTED | Robinson Investment Company, Inc.
2 bedroom 1 bath condominium in the beautiful Cedar Bridge neighborhood of Westminster. 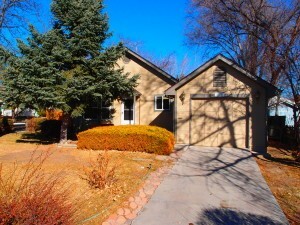 Great location near 112th and Federal and lots of amenities. Rent is $1275 and the deposit is $1275. One year lease. Water and trash service are included with the rent – gas and electricity are not included. No pets and no smoking. 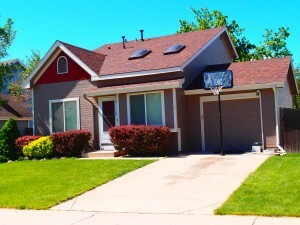 This 2 bedroom 1 bath condo is well-maintained and located in a desirable area of Westminster. It features tile flooring at the entry, in the kitchen and in the bathroom. The living room and 2 bedrooms have carpet. Natural light streams into the living room through a sliding glass door that leads to an outdoor cemented patio. The living room also features a wood burning fireplace with tile that matches the tile floors. This condo also has central air conditioning. The kitchen includes bar stool counter seating, a dishwasher, space saver microwave, smooth top range, and lots of cabinet space, including a pantry. Both bedrooms are large and the master has double closets and a 1/4 bath (sink). 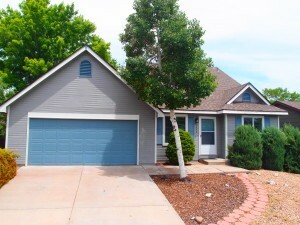 A washer dryer, single car garage with opener, and storage closet are also included. 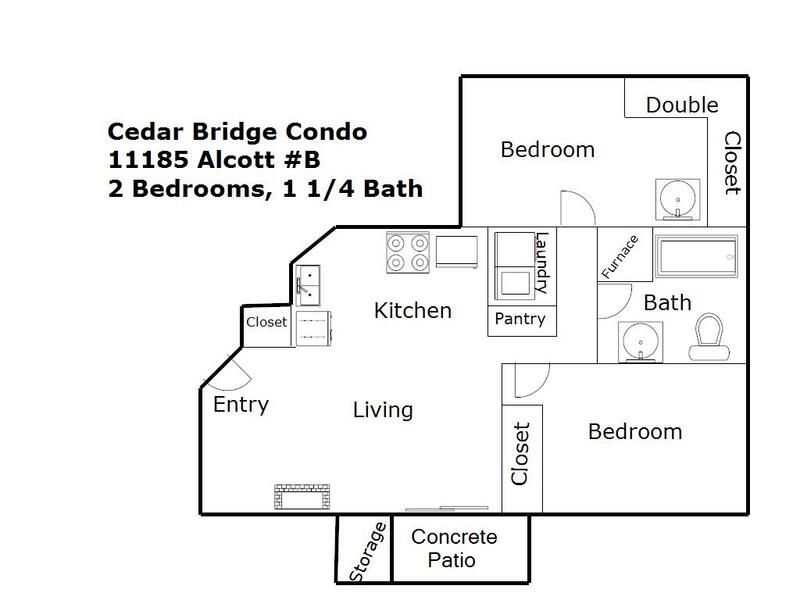 You’ll love the amenities Cedar Bridge has to offer. In the summer, escape the heat at the complex pool, hot tub and clubhouse or take advantage of the tennis courts just a few steps away. There’s also a large greenbelt at the front of the property and easy access to walking trails.